This photo was probably taken some time about 1980. 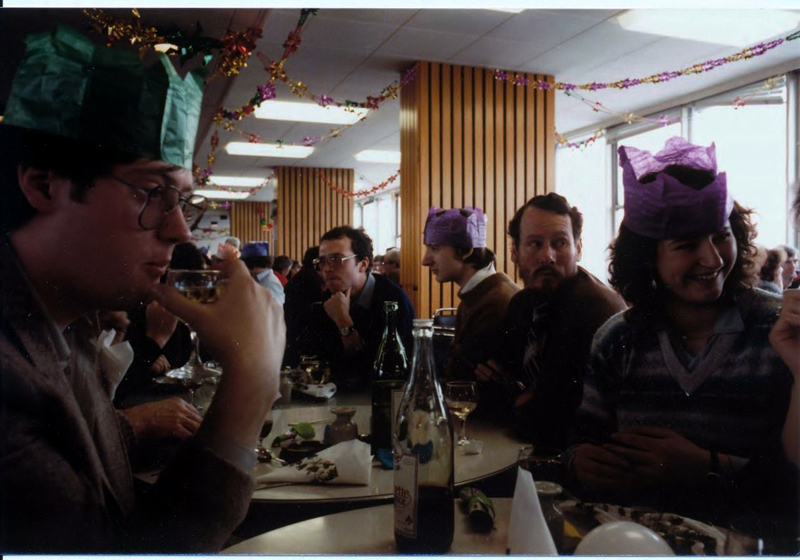 It shows Sharon Pemberton, Stan Treasurer and David Furmage at the Pebble Mill Christmas lunch. I can’t remember the rest. Thanks for posting that Peter. I almost remember it too! 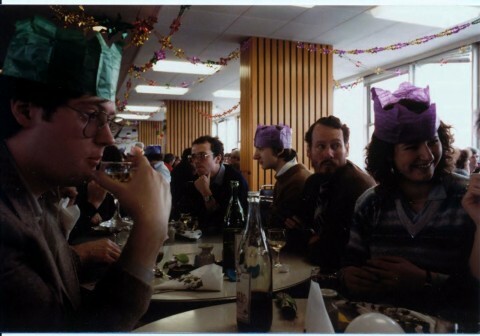 Some things never change … I had another purple party hat this Christmas too!